I'm trying to find the difference between two layers (the first is a manitoba wide shapefile and the second is a layer that narrows down the water bodies of manitoba selected from another canadian waterbodies shapefile). Both layers have the same CRS (after modification). 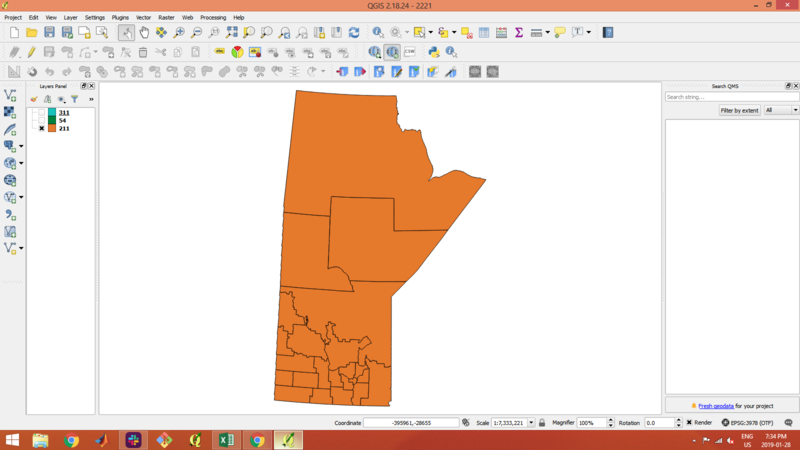 I'm trying to create a new layer that shows me only the land area of manitoba (minus the water bodies) but the difference tool keeps crashing on me. What exactly is going wrong? Browse other questions tagged qgis qgis-processing qgis-2 or ask your own question. Does QGIS Buffer Tool use units of CRS?